These days, being a "punk," a "prep," a "tomboy," or "ladylike" doesn't have much to do with who you choose to eat your lunch with. We'd argue that it's not about what's hanging in your closet, either. Giving your wardrobe a certain sartorial focus is really about how you interpret that sensibility into your outfits, and beyond. For example, representatives of each of those fashion camps might own the same St. James bateau shirt, but they'd all wear it in completely different ways. If you extrapolate that a few steps beyond dressing, you can see how your individual perspective affects nearly everything you do — from how you take your coffee to your go-to emoji characters. 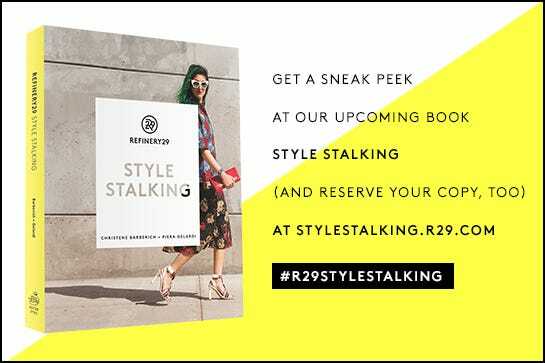 In celebration of our upcoming book debut (pre-order your copy of Style Stalking here if you haven't already! ), we're going to try diagnose your style, with questions that might seem like they have very little to do with, well, your style. Click through the following 10 prompts and see if we can't suss out your fashion M.O.